In a relatively short period of time we have moved, as a society, from education for a few to education for everyone. The nature of what constitutes education has also changed substantially as well. As a society we are dismantling the silos of learning to identifying how to provide meaningful learning opportunities for all students, within an integrated, inclusive environment. We are striving to provide a diverse range of experiences and content to an increasingly diverse student population within a framework that had its origins in a by-gone era, without losing critical elements of liberal arts and science curriculum. A worthy challenge! 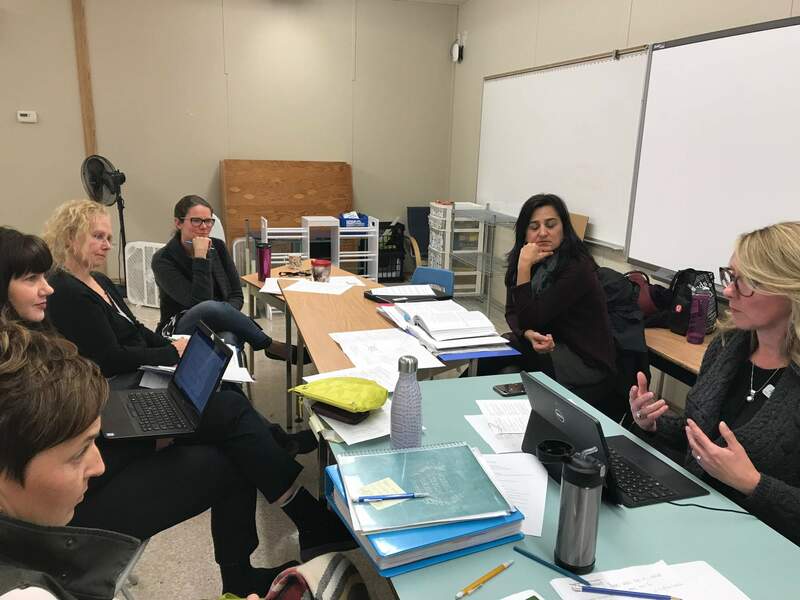 In schools throughout Abbotsford, teachers and district leaders are actively seeking ways they can ensure all students are growing and expanding their own personal learning borders. In large part, this focus centers on how teachers can re-design their instruction to be more universal in nature with deliberate, planned access points for all students. 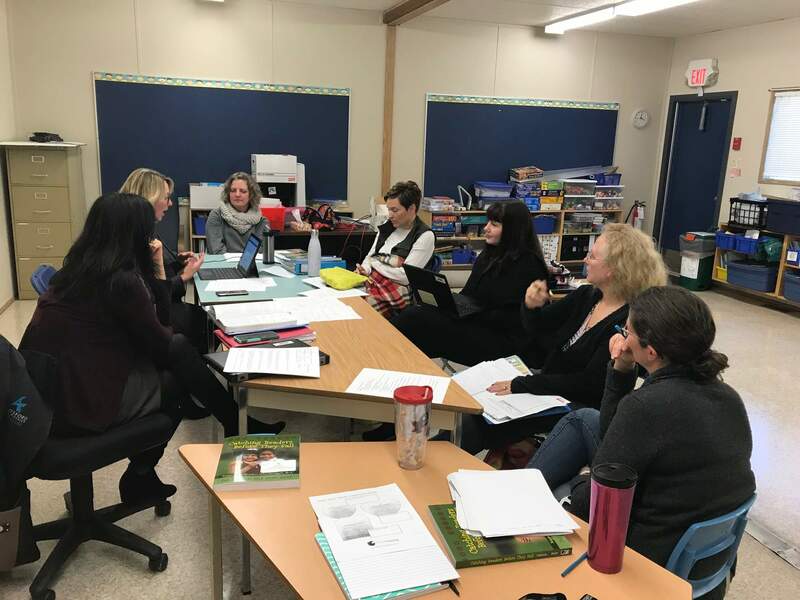 Teachers are engaging in after school workshops, are meeting together for book studies and to reflect on their instruction, and to plan for the very diverse learning profiles within their classes. At Sandy Hill, our staff continues to expand their own learning by attending conferences, afterschool workshops, engaging in professional reading, and by banding together to identify strategies that will meet the current learning needs of their students. 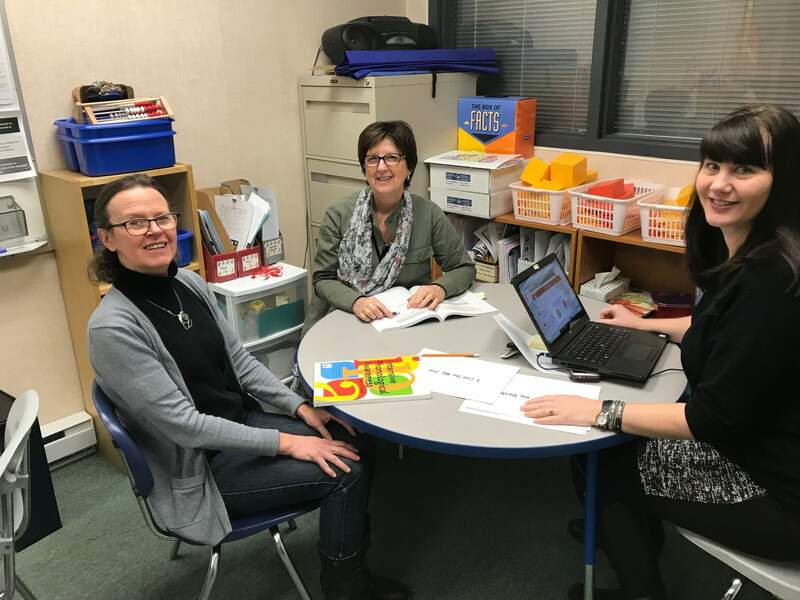 At Sandy Hill we have two applied research teams, a primary focused team, (Changing Results for Young Readers) and an intermediate team (Changing Results for Striving Readers) actively working together to further enhance the literacy learning of our students. Our Learning Support Services Team is also actively engaged in professional development focused the changing landscape of our learners, which for the LSS team, includes the supporting our teacher learners as well. The LSS team is learning how to co-plan universal plans for instruction with their colleagues; they are working within classroom structures to provide small group support for struggling learners; they are working with parents of additional needs students, and they are actively involved with staff as they develop new scope and sequence paths for foundational literacy and numeracy learning. Our whole teaching staff meet with their grade partners twice a month as they organize and plan for student learning for this year and beyond. We meet together, discuss our literacy and social-emotional learning data with an eye to identifying a common focus to improve students’ reading comprehension, their motivation to keep on trying at a task that is a challenge for many, while also meeting the needs of those students who have already attained the basics. We read and discuss research articles; we talk about how we have tweaked how we teach or structure our classes for learning; we share our fails and our successes, and we encourage and support each other on this very important journey. While many of the activities or structures of learning may appear, on the surface, to have remained static for a generation, educational change has been significant. We invite you talk with your child’s teachers about your child’s learning journey throughout the year. We also invite you to attend the PAC meetings which often include an educational component—the February PAC meeting will feature a presentation by Ted Leavitt on learning more about the child with attention deficit challenges.